Editor-in-Chief Juliana Hayden-Nygren and editor Laurie Mercier talk to Conservative McGill President Adam Wilson about Kevin O’Leary’s image problem, PM Trudeau’s remarks on Kellie Leitch, and the party’s outreach to young voters. Juliana: Kevin O’Leary has been called a disruptive populist, widely accused of lacking a moral compass and acting as a carpetbagger. How can constituents be assured that Mr. O’Leary, who lives part-time in Boston, has a reality TV show, and has been called Trump-lite, won’t be a divisive force for Canada? Laurie: As a young Conservative, do you believe that your party has been effective in mobilizing youth? What strategies has Conservative McGill employed to draw young Canadians attention to the party? Adam: I think the Conservative Party missed the boat on the youth vote in the 2015 election. We underestimated the importance of the youth vote, and the fact that young Canadians are now, more than ever, interested in Canadian politics. 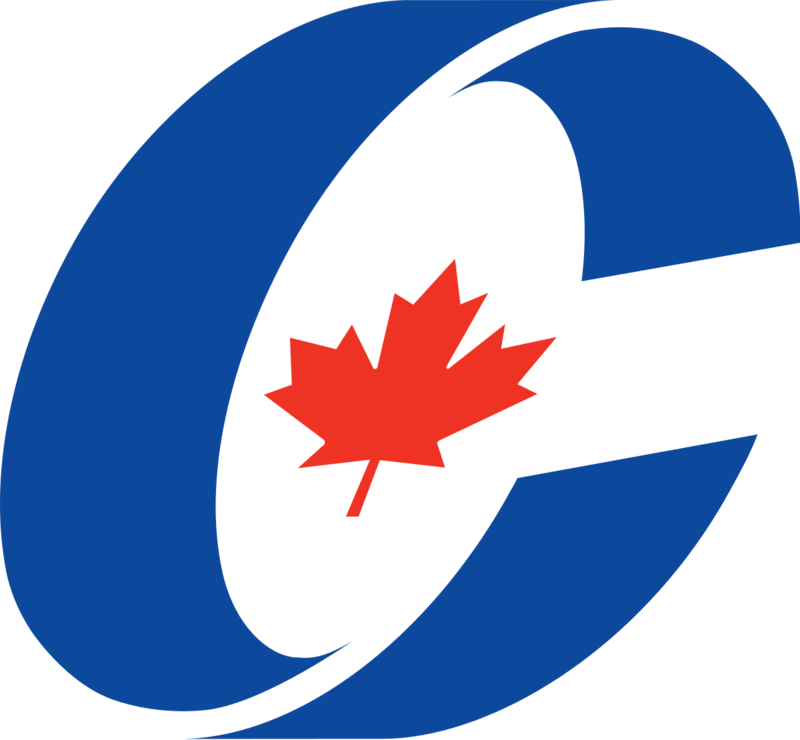 However, since the election, the Conservative Party has begun to employ strategies to help mobilize young Canadians. Here at Conservative McGill, we have increased our social media presence, through Facebook, Twitter, and Instagram. We also created a website, which we update with all of our information and events. We’ve taken stands on campus, such as an anti-BDS stance, to show students on campus that there are groups on campus that hold their views, and that they do not need to feel that they are alone in their views. When I took over as President of Conservative McGill, we had about 14 members, today we have over 70 registered members. While I would like to think that it’s our events and openness that has led to more students joining the club, I also think that it’s our generation’s realization that we are unhappy with the current Liberal government. The broken promises are adding up, and the deficit is climbing uncontrollably, students are realizing that this is an issue, and they are looking for ways to make a difference and get involved. Laurie: Michael Chong has been presented as the party’s progressive candidate. Concerns have been raised that moderate candidates fair poorly in the polls. What are the challenges that you think that Mr. Chong will face in the leadership race? Adam: I think Michael Chong’s strongest challenge in this race, and the reason that he won’t win the leadership, is his pro-carbon tax stance. The Conservative Party is a party of lowering and eliminating taxes, not implementing new ones. While, Michael Chong is undoubtedly a Conservative, his policy is not popular within the broad base of the party. Canada’s economic viability relies on many things, but one of those things is being a competitive place to attract business. We don’t need to be competitive on a global scale, but we need to be competitive with the USA and with Mexico. Given the current Trump administration, implementing a carbon tax in Canada will make us less competitive. There are other ways to reduce global carbon emissions that do not make us less competitive, and I think that is why the vast majority of the party rejects a carbon tax. Juliana: NDP McGill told the MJPS that they were troubled by what they see coming out of the conservative leadership race. In particular, they hoped that Kellie Leitch’s “cynical views of working people in Canada,” would be rejected by Conservative members at the leadership convention. Do you believe that young Conservatives are favouring a distinctly right of centre party that aligns immigration issues with job prospects for 20-somethings? Adam: Look, NDP McGill clearly knows very little about the Conservative Party Leadership contest and about what the positions are of the various candidates. And it’s fine that they don’t, this isn’t their party, but we don’t need them lecturing us on our candidate’s viewpoints. I’m going to be honest here, I know Kellie Leitch very well, and she has never said anything that any reasonable person would interpret as being a cynical view of working people in Canada. I personally was disappointed to see members of NDP McGill protesting and attempting to shut down our off-campus event with Dr. Kellie Leitch. I think this speaks to the lack of respect they have for those with opposing viewpoints. Now, not all the protesters were members of the NDP, however some were, and some were holding signs and shouting things such as “climate change denial is not a Canadian value”. Kellie Leitch believes in climate change, and it’s this kind of ignorance on the topic which perpetuates false narratives. I hope in the future they can be more respectful of our rights to freedom of speech as a club. In a day and age when our Arts Representatives are inciting violence towards some of the very students they represent, I would rather see political clubs on campus condemning that violence, than shutting down intelligence discourse and an elected Member of Parliament. I don’t believe the immigration policies of the Conservative Party has to do with the lack of job-prospects for young Canadians. I think when young people support the Conservative Party stance on immigration it shows that they want smart immigration. We are a country of great wealth, and it is our duty as global citizens to be generous to those from countries of conflict and countries with limited opportunities. However, we need to do it the right way. We need to make sure those immigrating to Canada will have the resources available to them upon arrival to ensure that they will be successful in Canada, we need ensure that new immigrants can and are willing to contribute economically to Canada, and we need to ensure that welcoming new immigrants to Canada does not compromise the ability for Canadians to prosper safely in Canada. This is the view of the Conservative Party. We are pro-immigration and pro-allowing refugees, we just want to ensure that it’s done correctly. Juliana: Justin Trudeau has infamously cited Kellie Leitch as the reason for not adopting electoral reform, as he promised in 2015. He said he fears that someone who may represent the fringe, with 10, 15, or 20 seats, could end up holding the balance of power in the House of Commons. Mrs. Leitch responded that far from the fringe, she represents what two-thirds of Canadians want. Having worked for Mrs. Leitch, what are the unifying values that you believe Mrs. Leitch represents? Adam: First of all, I think that Justin Trudeau is trying to backtrack and somehow justify the fact the he blatantly lied to the Canadian public. The real reason he has not continued with electoral reform is that the public wanted proportional representation, and not the Liberal-aiding system of alternative vote. Now he is trying to justify his decision without saying that it is truly because the system he wanted, was not the system Canada wanted. It’s true, according to multiple surveys, 2/3 of all Canadians support screening new immigrants and refugees for Canadian values. I think this is unifying because it’s a common sense policy. Immigrating to Canada is not a right, it’s a privilege. All Kellie Leitch wants to ensure is that when people are provided this privilege, that they agree with our Canadian values of freedom of religion, equal rights, tolerance of others, and more. Kellie to me represents common sense policy that many party members are looking for. The MJPS also sat down with the heads of Liberal McGill and NDP McGill. Read more to see their responses..